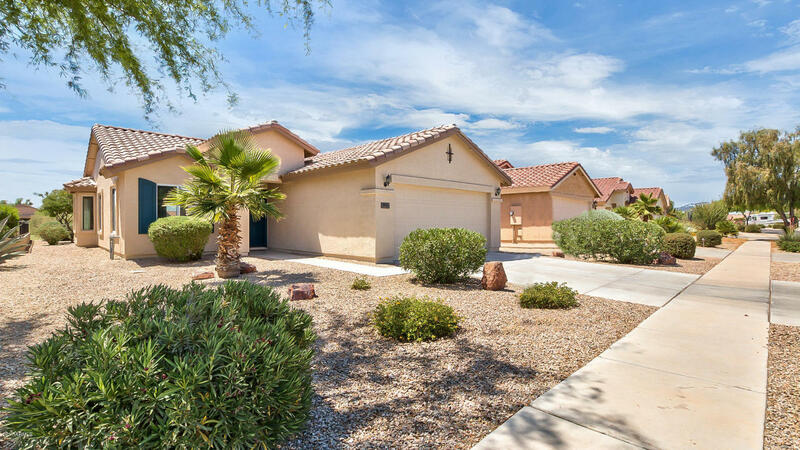 Super nice 2BR/2BA GOLF COURSE LOT home with an open floor plan and expanded living room. Kitchen features upgraded cabinetry and appliances.Master includes a walk-in closet & bay window for added views...Fully extended covered patio for those outdoor gatherings and BBQ's. Beautiful Golf Course views and walking distance to the Club house.With all the activities and amenities this community has to offer, you are all set for a lifestyle by design! Superior location, only 25 min.to chandler, and 5 min. to shopping, dining, Harkins Theatres & I-10 Freeway.It should be noted that the seller will sell furniture as-is with no warranties implied... This home will not last!